BEATRIZ HELGUERA-SNOW, pianist Born in Mexico City, Beatriz Helguera is an active performer as recitalist, chamber musician and in great demand as a collaborative pianist. She is the founder of the Chicago Panamerican Ensemble, group that engages some of Chicago's finest musicians and performs the traditional repertoire of trios, quartets and quintets with a blend of Latin American and American Music. Her chamber music performances include live performances for WFMT Radio in Chicago. (www.chicagopanamericanensemble.com) Additionally, she is a member of Chicago Philharmonic Chamber Players. 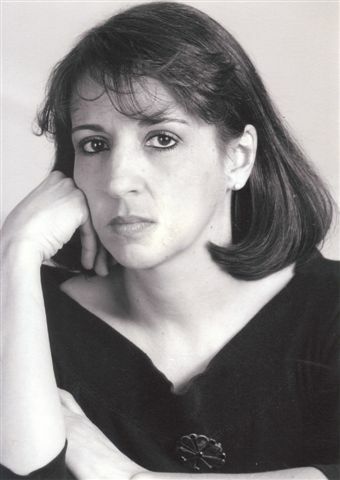 She holds a Master Degree in Piano Performance from Meadows School of the Arts at Southern Methodist University, where she received the Meadows Outstanding Achievement Award and the Epstein B'nai Brith Award, and a Concert Pianist Diploma from the Conservatory of Music of Mexico where she graduated with highest honors as a student of eminent pianist Maria Teresa Rodriguez. In her native México, she was a soloist with the Fine Arts Chamber Orchestra (Orquesta de Camara de Bellas Artes), State of México Orchestra (Orquesta Sinfónica del Estado de México), Conservatory Orchestra and others and has played numerous solo and chamber music recitals in all major recital Halls of Mexico city. She participated in workshops with pianists Jorg Demus, Paul Badura-Skoda, Jorge Bolet, Angelica Morales and many more. She is also an active teacher for young pianists. She was part of the Piano Faculty at DePaul University School of Music, Community Division for several years and was part of the faculty at Betty Haag Suzuki School for almost a decade. She is a member of MTNA (Music Teachers National Association) and CAMTA (Chicago Area Music Teachers Association). She has also being a member of the Faculty at MYA (Midwest Young Artists) for the Summer Young Musicians Chamber Music Program. Beatriz and Andrew Snow have 2 children: Elena, mezzo soprano, a graduate from De Paul University of Chicago and New England Conservatory in Boston (Master Degree) and now a member of Boston Baroque; and Alan, violinist graduated from Indiana University (Jacobs School of Music) and currently concertmaster of Columbus Indiana Philharmonic, in the Fall of 2018 will start his season as concertmaster of Evansville Philharmonic. ANDREW SNOW, cellist A native of Chicago, Andrew Snow holds a Bachelor Degree in Cello Performance from Northern Illinois University, where he was a student of Marc Johnson, the cellist of the world renowned Vermeer String Quartet, and a Master Degree in cello Performance from the Meadows School of the Arts at SMU (Southern Methodist University) where he was a student of the late Russian cellist Lev Aronson. He attended the Summer Cleveland Institute, and the Aspen Music Festival , where he had lessons with cellist Alan Harris; and has performed at the Grand Teton Music Festival. He also studied with Chicago Symphony's cellist Richard Hirschl and Lyric Opera of Chicago's cellist Marijane Carr. Mr. Snow is an active recitalist, chamber musician, orchestra musician, and teacher. With his wife, pianist Beatriz Helguera- Snow, he has performed in Mexico City and Guadalajara in many recital halls including Sala Carlos Chavez (as part of the International Music Series), Sala Ponce in the Palace of Fine Arts (Bellas Artes) and Sala Julian Carrillo of UNAM Radio (University of Mexico Radio). He is a member of the Chicago Ensemble, where he has performed numerous times on classical WFMT radio in live performance broadcasts. He was the cellist of the Lyra Quartet for almost a decade (quartet in residence at Carthage College, Wisconsin), performing every year a variety of programs with music from baroque to contemporary and he was principal cellist with Kenosha Symphony for several years. Mr. Snow is a member of Chicago Sinfonietta, Lake Forest Symphony (assistant principal cellist), Chicago Philarmonic, and has played with Grant Park Symphony, Ravinia Festival Orchestra, Chicago Joffrey Ballet, American Ballet Theatre, Milwaukee Symphony, Chicago String Ensemble, Ars Viva, Chicago Symphonic Pops (with whom he traveled to Taiwan as principal cellist), Lyric Opera of Chicago, Dallas Lyric Opera, Plano Texas Chamber Orchestra (principal cello), Filarmonica Ciudad de Mexico (in Mexico City) and many more. He has also played with the Contemporary Chamber Players, Fulcrum Point, Chicago Chamber Orchestra, and has been in orchestras accompanying names such as Andrea Bocelli, Josh Groban, Frank Sinatra, Luciano Pavarotti and many more. As a teacher, he was department head of the cello department at Betty Haag Suzuki School from 1987 to 1997, where he taught dozens of young cellists and prepared them for their annual Orchestra Hall concert. 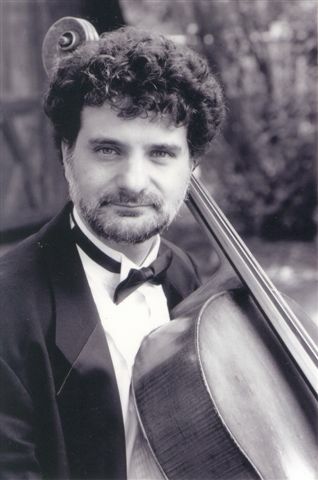 As an active clinician, he coaches cello sectionals of youth orchestras, is invited to judge student competitions, and since 1997 holds a private cello studio in Arlington Heights. In 2006 he was recruited to join the faculty at Trinity International University (Deerfield, Illinois). Andrew and Beatriz have 2 children: Elena, mezzo soprano, who is a graduate from DePaul University and New England Conservatory in Boston (Master Degree) and now a member of Boston Baroque, and Alan, violinist graduate of Indiana University Jacobs School of Music, and currently concertmaster of Columbus Indiana Philharmonic. In the Fall of 2018 he will begin the season as concertmaster of Evansville Philharmonic.